Nyasa Big Bullets’ board of directors has resolved to keep the club’s reserve side in the Southern Region Football Association League Premier Division. This is contrary to reports that management of the People’s Team had confirmed that their junior team would compete in the TNM Super League after emerging champions of the regional league. 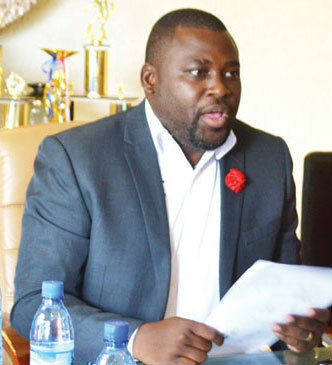 Football Association of Malawi Club Licensing and Compliance Manager, Casper Jangale, is quoted in Monday’s The Nation newspaper as saying the association had set conditions for the team’s participation in the top flight league. One of such conditions was that Bullets Reserve become an independent entity in line with club licensing requirements which do not permit two teams from the same institution to play in the Super League. But Bullets Chief Executive Officer, Fleetwood Haiya, said a board meeting convened on Wednesday evening resolved that Bullets Reserve should stay put in the Premier Division. Haiya said board members agreed that players who showed readiness to compete in the Super League should be promoted to the main team. “Bullets Reserve will remain our junior side. They are not going to play in the Super League. There are several players who have been promoted to the main team, while others will be sent on loan to get game time and return later,” he said. Haiya said an agreement was reached to offer their Super League slot to Ntopwa, who came second in the Premier Division. He said the club would keep its reserve team so that it stops buying expensive players from other clubs. “We have extended the offer for a place in the Super League to Ntopwa. We had other teams in mind but we settled for Ntopwa and they have taken it up. “But we will continue supporting and motivating our reserve side so that it keeps winning the Premier Division title. We want the young players to grow up with a winning mentality before we promote them to the senior team,” Haiya said. Ntopwa owner, Isaac Jono Osman, confirmed the development, saying his team is ready to play in the Super League. “We were expecting it. We knew that Bullets would not have two teams in the Super League. I am personally very thankful to Bullets for their kind gesture. “I also thank stakeholders who advised Bullets on this matter. I am currently running around to ensure that we fulfill all the requirements to compete in the Super League,” Osman said. The Premier Division runners-up may not have much work to do to become eligible for Super League football as they already have a coach with the necessary qualifications. Ntopwa also have a junior team that would act as their reserve side but may have to prove that they have other structures befitting the status of a Super League club.